Yesterday I attended WFG Refresh which is an annual real estate and marketing seminar put on by the WFG National Title Insurance Company. I love attending seminars like this because it really helps me stay in touch with where the market is heading and what real estate technology to pay attention to. One of the speakers for the day was Neil Patel – influencer, blogger, and New York Times bestselling author. So what does any of this have to do with Tacoma or why you should live there? When Neil was giving his talk about his success in the Seattle area real estate market, he took a jab at Tacoma as a far away land. Well, surprise Neil there were agents from Tacoma in the audience and they let you know it! Even though I live about an hour north of Tacoma, I have a sister-in-law there and have helped clients look for homes in some of Tacoma’s charming neighborhoods. I thought I’d use this knowledge to show Neil why he should consider buying an investment property in Tacoma, and to the rest of my readers why you might want to move there! With Seattle being one of the hottest markets in the country in 2018, you might be surprised that I’m putting Tacoma’s real estate market on the list of reasons you might want to move there. The reality is that housing is much more affordable in the Tacoma/Pierce County area compared to Seattle/King County to the north. According to the NWMLS for September 2018 the average price of a single family home (including condos) in Pierce County was $391,704. Compare this to a 86.1% higher average home price in King County of $729,083 and you can see the appeal the cost of living in Tacoma and Pierce County. In fact, this area really wins for the entire Puget Sound metropolitan area because the average home price in Snohomish county is higher as well at $498,670 in September 2018. To pile on, Forbes rates Tacoma as having a cost of living only 5.2% above the national average. Seattle’s cost of living by comparison is 27% higher than the national average! The beauty of Tacoma is you are buying into a large urban center, but at a big discount compared to some of hot zip codes to the north. Better housing affordability also doesn’t mean you need to find work in Pierce County. When my husband worked for Amazon in downtown Seattle he knew a good number of employees who made the commute daily – usually by train. If you work in King County or Seattle, the Sounder Train from the Tacoma Dome to King Street Station only takes about an hour (a 45 minute drive without traffic). There are plenty of bus routes on I5 or you can drive, this will just take a little longer than the train. The city of Tacoma reports that more than $1 billion is being invested in the downtown core, with with private investment surpassing public investment at a 4:1 ratio. This really rings true when you visit downtown for yourself. Just over Labor Day weekend my family was in downtown Tacoma for a birthday party. We loved admiring the mix of old and new architecture; plus we found clean streets, great places to eat and shop, and parking is ample. Gleaming metal meets brick and stone with water on one side and mountains on both sides – hard to beat these views. Interestingly enough when researching the revitalization of Tacoma, the University of Washington expanding with a Tacoma campus is largely thought to be the catalyst for revitalization of the city. Employers were paying attention too. Decades later Pacific Ave is now a bustling mix of retail, businesses, and real estate. In 2013 State Farm acquired two downtown buildings with over 300,000 square feet of real estate. Moves like this are confidence boosters to the region and help other businesses make commitment decisions. According to reporting by King 5, in the future city developers plan to take on the financial district and hope for similar successes they’ve seen with the already revitalized areas. This should give confidence to someone shopping for a home in Tacoma that the growth and investment in the city is not slowing down. As much of this post focuses on the revitalization of Tacoma’s downtown core so will the walkability. Living outside the core areas will be similar to the rest of suburban Puget Sound where public transit options are generally limited to arterial bus lines that bring riders to transit stations. Most people still have cars to get themselves to work or a transit hub. That said, the walkability of Point Ruston and particularly the downtown core area is excellent. The downtown core area I’m referencing here is most of zip code 98402 and I’ve linked a property search for that zip code at the bottom of the post. The area has many restaurants, grocery stores, and miscellaneous local business to meet almost any need of the locals, plus very convenient access to the Commerce Street & Pacific Avenue or Tacoma Dome transit centers. When Livability ranked Tacoma as the 42nd most desirable place to live in the US, they noted walkability as a major reason to live here. If biking is more your speed, company with the green bikes we’ve all seen scattered across the Seattle area this summer – Lime Bike – has applied for an operating permit in Tacoma as of September 2018. So love them or hate them expect to see more transportation ‘sharing’ startups establishing operations in a growing Tacoma. Just a short few minute walk from the core downtown area and museum district is the waterfront. Did you know Tacoma has a museum district? There are six museums in total with exhibits ranging from glass art to cars. Back to the waterfront which features a paved trail along Commencement Bay your dining and shopping options are local and trendy. If you’re looking for a spot to eat on the water itself, the Lobster Shop is probably my favorite and there are a number of great spots on 6th Avenue just off the waterfront. With so many options check out this list on Yelp which is just showing the waterfront and nearby downtown. At the end of Ruston Way which runs along the water, you run into Point Defiance Zoo & Aquarium as well as Point Defiance Park. The park itself is 702 acres, making it the largest city park west of the Mississippi River. Popular activities in and around the park range from walking or biking trails around the park and its gardens, checking out the animals in the zoo and aquarium, kayaking, taking your kids to the splash park, or just hanging out on Owen Beach. How can I claim a high school is the number one reason to move to Tacoma? Stadium High is not just your average high school – it is a historic landmark, a grand building built by the Northern Pacific Railway Company in the late 1800s. 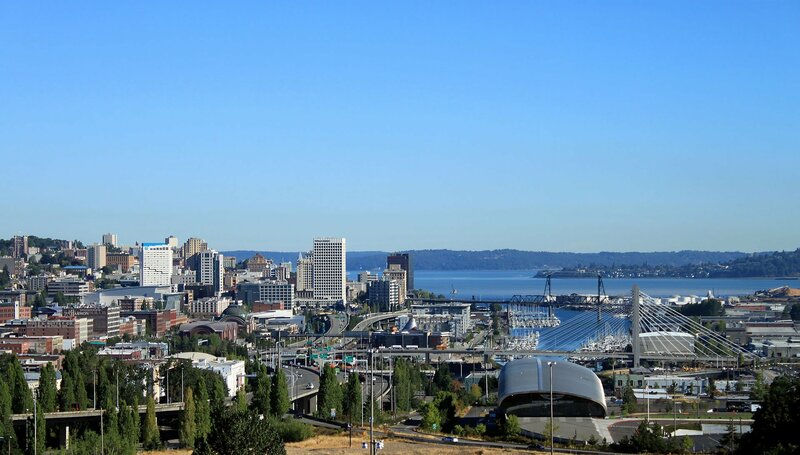 It is such a sight to see perched above Commencement Bay that Tacoma and Stadium High were the setting for the 90s teen comedy, 10 Things I Hate About You. The school isn’t the only memorable Tacoma landmark from the movie either – so is the stunning Victorian house from the movie that was listed for $1.6 million this year. 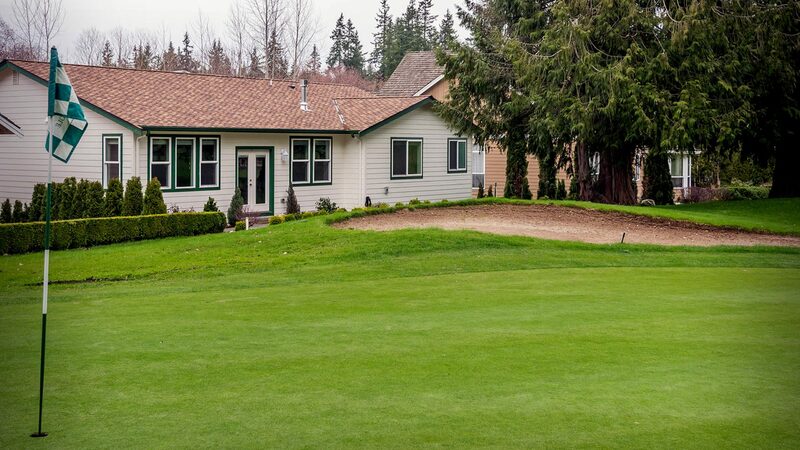 It feels like from almost anywhere you are in Tacoma you have sweeping views of Puget Sound and Mount Rainier (or Mount Tahoma – the original name of both Mount Rainier and Tacoma) right in your backyard. A bustling and vibrant downtown area that is a mix of old industry, brick, and new architecture that gives you a clean and updated vibe while at the same time knowing there is a lot of history around you. These are a handful of examples of why the interesting architecture, historic past, and natural beauty is the real number one reason to move to Tacoma. Right now my opinion is that Point Ruston (zip code 98407) and the nearby downtown core/waterfront (zip code 98402) are the hottest neighborhoods in Tacoma. This is where a lot of the revitalization and action is happening. Settling in either of these nearby locations means good walk-ability to pretty much all the amenities you can think of including some great trendy restaurants. I’d also like to mention that a little further in from the water (and more affordable as such) is the charming Proctor District. This area was one of the original business districts in Tacoma and you’re still close to the waterfront action with your own hip mix of arts and entertainment. Check out the home search link below to get an idea of what kind of properties are available in these areas. You’ll see the prices range from the millions to only a few hundred thousand, creating an interesting and eclectic mix of real estate. I hope you liked my list of the reasons to move to Tacoma and my tip of focusing your search in the Point Ruston or Proctor areas if you want a great spot to settle into. Awesome!!! Thank you for calling out all the best reasons to live in T-Town Jennifer.